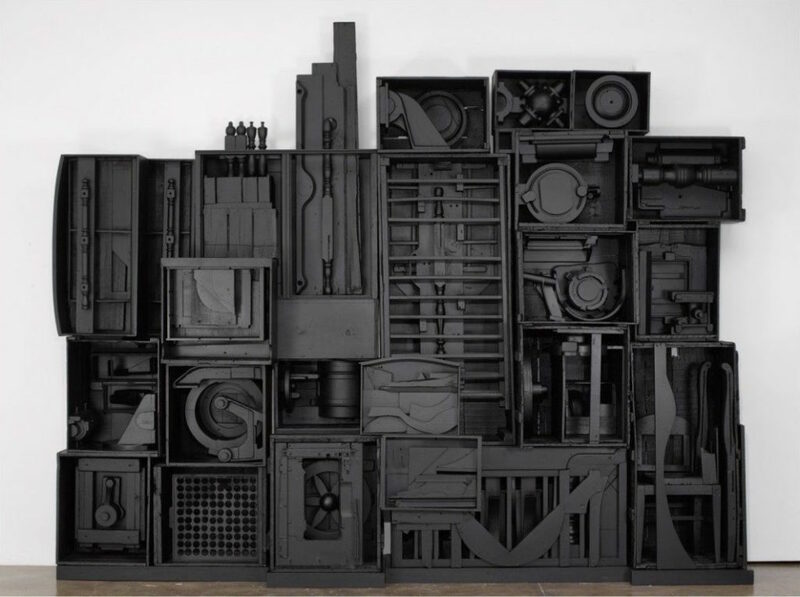 NEVELSON, LOUISE. (1899-1988). 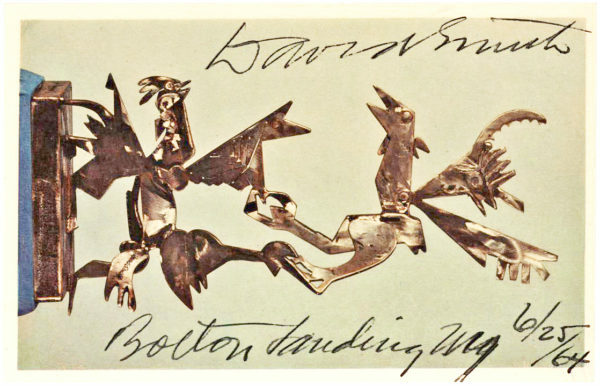 Pioneering Russian-born, American sculptor. LS. 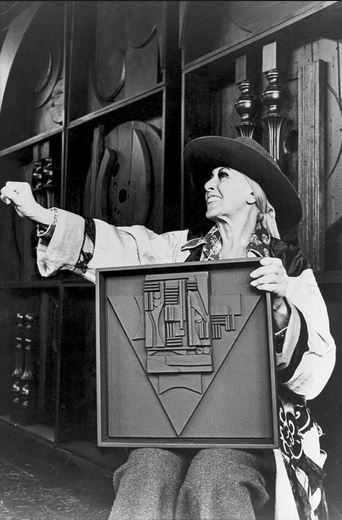 (“Louise Nevelson”). 1. 4to. New York, January 24, 1978. 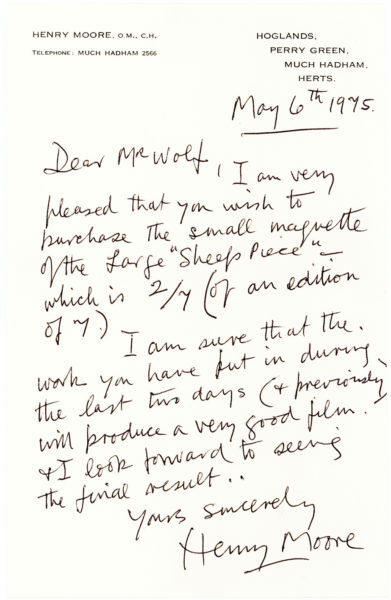 On her personal stationery to American actress and arts advocate KITTY CARLISLE-HART (1910-2007). “I want to thank you for introducing me so beautifully Sunday evening at the ‘Salute for Governor Carey’ – I hope there will be other such sweet occasions. An immigrant from Czarist Russia, Nevelson received her artistic training and New York’s Art Students League during the 1930s. In 1933, she assisted Diego Rivera on his famous Rockefeller Plaza mural Man at the Crossroads, but the pair’s love affair alienated her from Rivera’s wife, Frida Kahlo, whom she admired. Although she first experimented with lithography and etching and taught mural painting for the Works Progress Administration, Nevelson became a prolific sculptor. In 1941, she had her first solo exhibition and, influenced by Cubism, worked in stone, bronze, terra cotta, and wood. She continued to create lithographs and other works using found objects, but it is for her wood wall collages, which she described as “environments,” that Nevelson is best known. She also became a leading feminist voice to promote women in the visual arts. 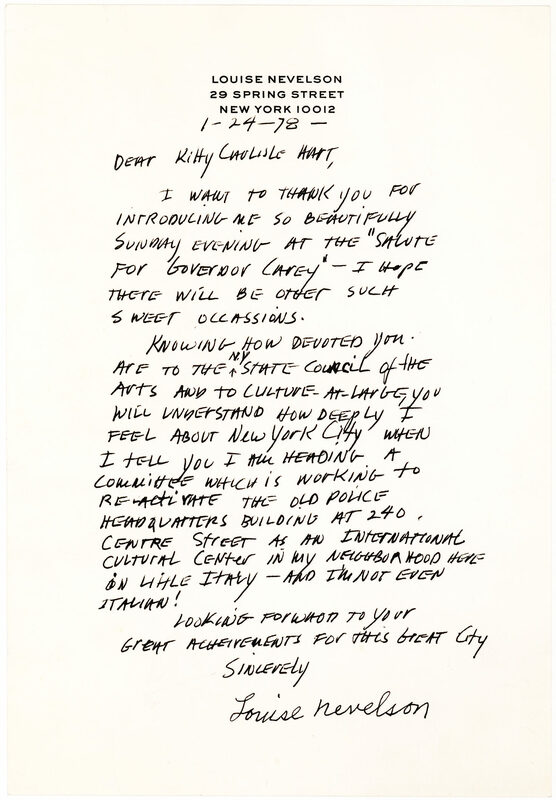 Our letter also illustrates her interest in historic preservation and pertains to the former New York City Police Headquarters (headquarters from 1909 to 1973) at 240 Centre Street, which was granted New York City landmark status in 1978 and inclusion in the National Register of Historic Places in 1980. It was converted to luxury condominiums in 1988. Born in Louisiana and educated at the Sorbonne, London School of Economics and London’s Royal Academy of Dramatic Art, Carlisle began her celebrated acting career on Broadway in 1932. After dating George Gershwin, she married American playwright Moss Hart in 1946. Carlisle-Hart, as she was later billed, continued to work in both film and theater but became a household name for her numerous appearances as a panelist on the television game show To Tell the Truth. In addition to her theater career, she was an active supporter of the arts in New York State, chairing the New York State Council for the Arts from 1976 to 1996 during which time she championed historic preservation across the state. Hugh Carey (1919-2011) served as New York’s Democratic governor from 1975-1982 and is credited with averting New York City’s existing fiscal crisis. 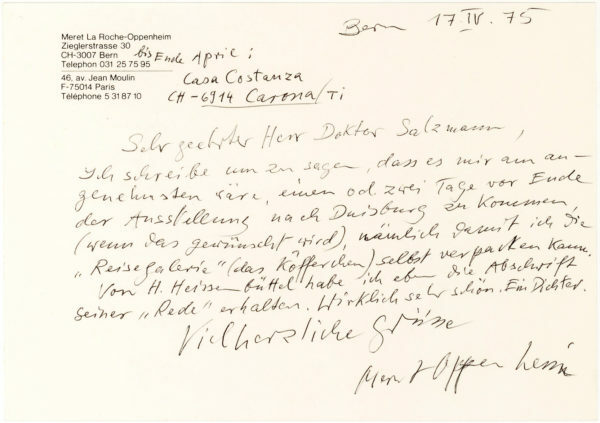 Boldly penned in dark black ink and neatly signed. Folded into thirds and near fine. Uncommon.